* Total number of reviews and star-ratings are based on data collected during the time period AJ Wells Roofing and Construction has been using the ReviewBuzz system and may not directly match the data found on each public review site. 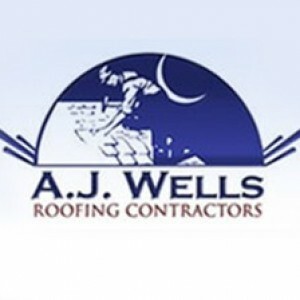 AJ Wells Roofing Company was a God sent roofing company I would highly recommend using them. I personally met with the owner, Mr. Arthur Wells is a man of integrity and believes in true customer service. I really appreciate all the help I received from Kim, Heather and the team, They also did what they said, David and Guss they use quality materials AJ Wells Company did an excellent job replacing my roof it looks amazing! Arthur was by far the most professional and courteous individual I have ever had the pleasure of working with. He was there for me from step 1 until the job was completed. Not only did Arthur repair the damage to my home, but he was able to get me an entirely new roof. He makes the process of dealing with the insurance companies a piece of cake. All I had to do was pay my deductible and I was done. I will work with Arthur on all home repairs from here on out. Thank you to Arthur and all of the ladies at the office for always being there for me when I had questions. If you're looking for a construction company, look no further! After reading reviews and listening to the opinions of others, I contracted with AJ Wells to replace my roof after Hurricane Irma. Prior to doing so, I determined the company has an A Better Business Bureau Rating. AJ Wells doesn’t pretend to be the cheapest contractor to replace a roof. They are not. What they are is the best at what they do. Their reputation is well deserved. You can have confidence that the new roof will be properly installed. I observed my damaged roof being torn away and there was quite the mess. But, the company allocates individuals for clean-up daily so it was never an issue. My gutters had to be removed because 19 years ago, unknown to me, fasteners to hang them were drilled thru the metal drip edge. Other roofers would install a new metal drip edge and simply cut around where the fasteners were placed and leave the gutters in place. Cutting out these areas would have compromised the new metal drip edge and made it prone to leaking at the cuts. Wood was used to extend my drip edge two inches out from the house. I was told this was being done as a precaution to insure water would not penetrate my home and cause wood rot or other damage at the soffits. Peal and stick is used under the shingles to create a water proof seal in the event there was shingle damage or loss . Use of this material will result in a discount on your homeowners insurance. Only high quality lifetime guaranteed architectural shingles were used. The color was of my choosing with assistance from the company representative to insure it blended nicely with my exterior color scheme. Due to the shape of my roof and its gullies, the supervisor made note of areas of the roof at my front foyer that may be prone to leaking in the future. Special attention and care was taken of these areas. All metal flashing was replaced in gullies and at side walls. Having a stucco home, this necessitated cutting out approximately 5 inches of stucco where the roof meets the walls. The metal flashing was then removed and replaced with new metal flashing with water proofing sealant tape behind it. This is important because metal flashing that is not replaced that is rusted or corroded will not last thru the next roof cycle and will be a source of leaking. The stucco was patched and repainted. My chimney was torn down to access and remove and replace the metal flashing. Again, this is important as the chimney is a primary source of leaking. The chimney was rebuilt, painted, and a new chimney cap was installed. My three roof ridge vents were replaced and an additional two were installed. My roof received its final inspection from the city with no exceptions noted. Upon questioning, the inspector told me the roof was “perfect”. At conclusion of the job, a Risk Mitigation Report was prepared (paid for by the company) detailing compliance with law and ordinance. Upon submitting this report to my homeowners insurance company, it resulted in a 20 percent savings on my annual insurance premium. To conclude, my new roof is of high quality and was installed by professionals who are very personable and knowledgeable in what they do. They have taken all necessary steps possible to insure my roof is sealed and will not leak. I have counted within walking distance of my home about 26 new roofs installed by numerous roofers since Hurricane Irma. During construction, I observed a lot of instances where wall and chimney metal flashing was not replaced but simply painted black or left at its original painted color. Chimney caps were not replaced and were left rusting. Materials used did not appear to be the best. These homes will no doubt have roof leaks in the future causing their owners grief, stress and necessary repairs. AJ Wells would never install a roof that way. He takes great pride in his well deserved reputation. Had an awesome experience with Arthur and his team. Arthur was quick to respond to our roofing needs, when several companies did not return calls. Initial thought was we only neeeded a roof, but because of AJ Wells being so thorough in their work additional damage was found. Their experienced teams, not just in roofing but all aspects of construction allowed our house to be completed under one contract. We are extremely happy with the outcome. 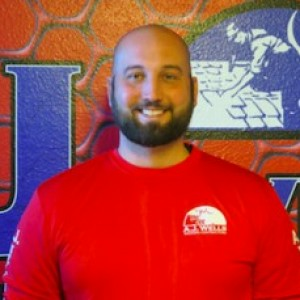 Eric Little came to my home and addressed three different roof issues including leaks. He was prompt, friendly, knowledgeable, and very creative with his solutions. Plus, he gave me two recommendations for solving other problems. When he was finished, he gave me his cell phone number and told me to call him directly if I had other issues. He has a great personality for dealing with customers. AJ Wells Roofing did such a detailed job replacing our roof. Mr. Wells and his staff were so respectful and hard working and easy to talk to. Each time we had questions about the process Mr. Wells or his staff were available to help guide us and reassure us. Our neighbors even commented on how thorough his team has been while working on our home as well as how nice the quality of materials they used to make repairs were. We are very grateful to Mr. Wells and his team. AJ Wells is Amazing! I received everything that was discussed and the workers were very polite, professional and Informative. My roof was transformed into a beautiful roof. One of my neighbors have already contacted AJ Wells about her roofing needs. The best part was that they cleaned up the property after they finished not one single nail left behind. I highly Recommend AJ Wells roofing. After storm damage to our roof, AJ Wells was able to help navigate the insurance claim and provide us with a quality new roof. Everyone was helpful and friendly from Guss who came out to the house and talked us through our options, their customer service reps on the phone -Kelly, and the entire crew of roofers, stucco repairmen, and painters. AJ Wells had replaced the roof on the house I purchased for the previous owner. Called them to investigate a stain in the room above the garage that looked to be from a leak. Arthur sent his guys out to investigate and what appeared to be a minor leak ended up being caused by a nail in the flashing under the stucco. It had been leaking since the home was built and had caused significant damage to the exterior wall. Arthur worked with my insurance company and replaced the two story section of this front wall. Even though it required extensive removal of material, they kept the mess to a minimum and cleaned up as they went along. After the repair, both the interior and exterior of the house look brand new with no signs of any work having been done. Great job. Last week I called to have them investigate a second leak that turned out to be a leak around a window. Eric came out and diagnosed the problem. He resealed and then painted around the window while he was there to investigate. Did not even charge me. Great company to work with and they do an excellent job. I am amazed at how efficient and professional the roofers were. I dreaded the process. I can say without a doubt it has been a pleasant experience. The men were polite, quick. precise and quiet except for the nailing. I recommend you call them for your roofing job. AJ Wells has been a perfect example of excellent customer service. We had some damage to our home from Hurricane Irma (2017) and We were looking for a company that would provide quality and efficient service without all the run-around. I received Arthur’s direct number from a family friend. I contacted him and he worked around our schedule to come out for an initial consultation and delivered quality, efficient and professional service as promised. He has stayed in contact about deadlines and answered all of our questions big or small. We had our entire roof replaced within two days, we ordered a custom window that his crew installed after they had to tear out a wall due to water damage. If we have any work don to our home in the future it will all go through AJ wells Roofing and Construction. This process was painless with quality workmanship. Words can not express the great job and service provided from A.J. Wells and contractors. Their work made our home look like a new fabricated house. If you need any work done in your home, call this company. Mr. Arthur and his crew provide the BEST customer service in town! Mr Toney helped us with all of our needs with the roof and other construction repair needed to make our home a safe environment. The whole team of workers were all marvelous and did a fantastic job! I highly recommend A.J. Wells for your new roof and construction work needed in your home. They are the BEST in town! Absolutely great company to do business with!!! I needed to have my roof replaced due to hurricane Irma. I just knew this was going to be a stressful and painful process trying to find a contractor to do the work and not feel like I was being taken advantage of. I was so wrong!! A.J. 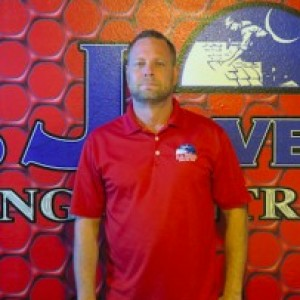 Wells Roofing Company made the process easy for me. Everyone from the ladies in the office, to the guy that delivered the dumpster, the men who delivered the materials and the men who completed the job, did a great job! I’m so happy with my new roof! A.J. and Guss explained everything to me from start to finish. Guss explained thoroughly the material they would use. They cleaned up very well afterwards! Never found one nail in my driveway! Trustworthy and honest and they truly care about their customers! Highly recommend!! 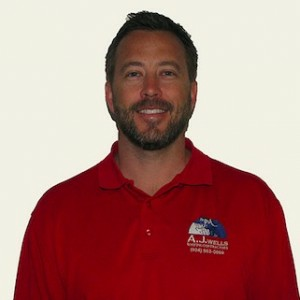 Customer service is always a top priority at AJ Wells Roofing and Construction. Our BBB Membership A+ rating is like a badge of honor as we continuously strive to provide the best experience for our clients.